Establish and encourage healthy habits in kids through fun and engaging activities. Who knew eating your veggies and drinking water could be such a blast! 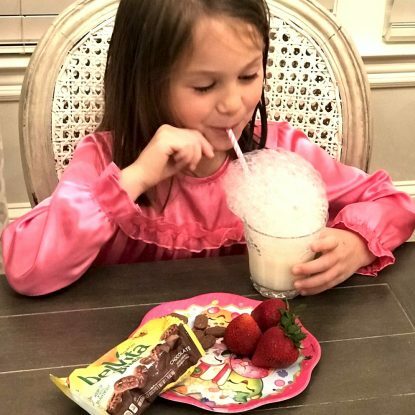 Thank you to Nestlé for partnering with me on this post so I could share these simple habits to help keeps kids healthy. All thoughts are my own. 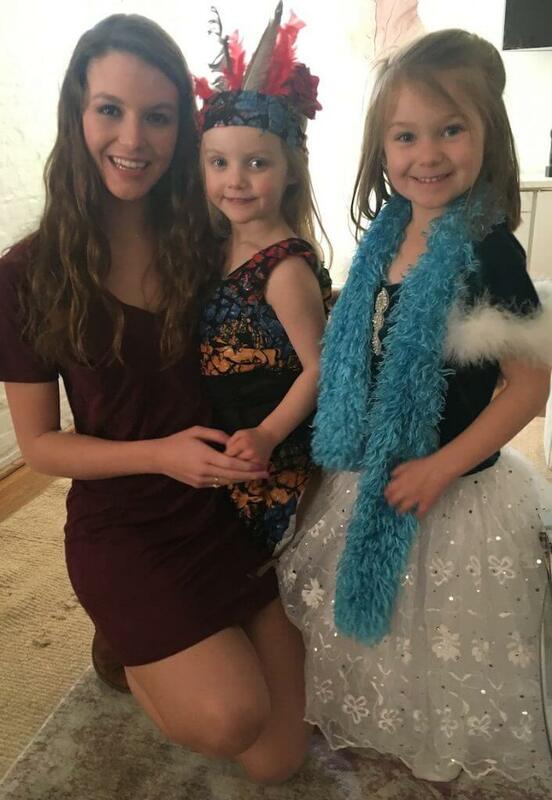 I know it is important to establish healthy habits early in life, so I’m always looking for fun ways to encourage them with my two girls, Ellie (age 5) and Frances (age 3). 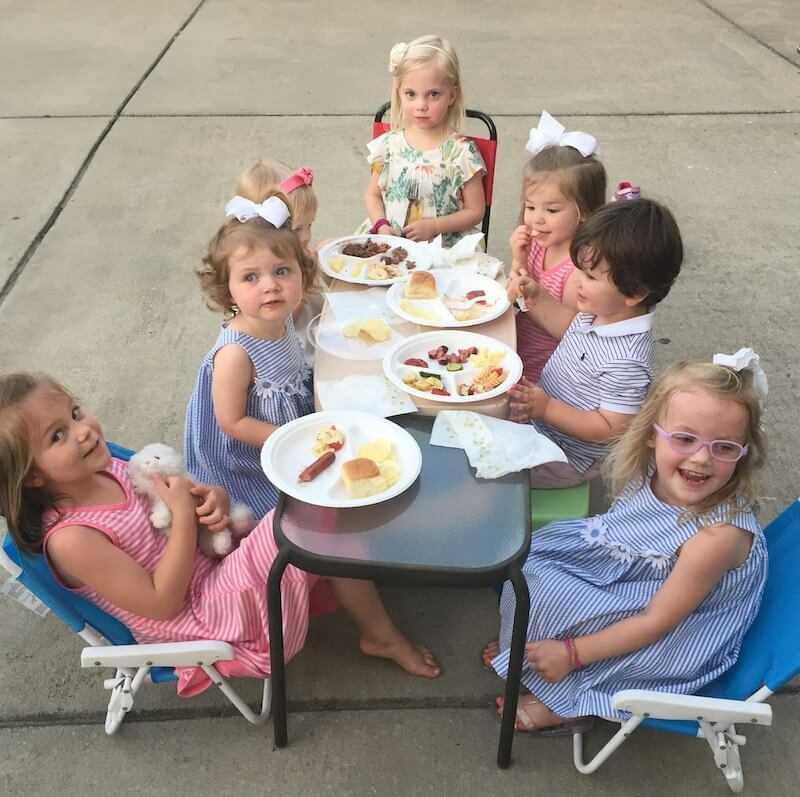 But, I’ll be the first to admit that this takes a little planning – not to mention creative energy to keep things fresh, fun and the girls engaged. That’s why I’m excited to partner with Nestle to build awareness about their United for Healthier Kids (U4HK) program launching later this year. U4Hk is an international program sponsored by Nestle designed to inspire and initiate healthy habits in children 12 years and younger. 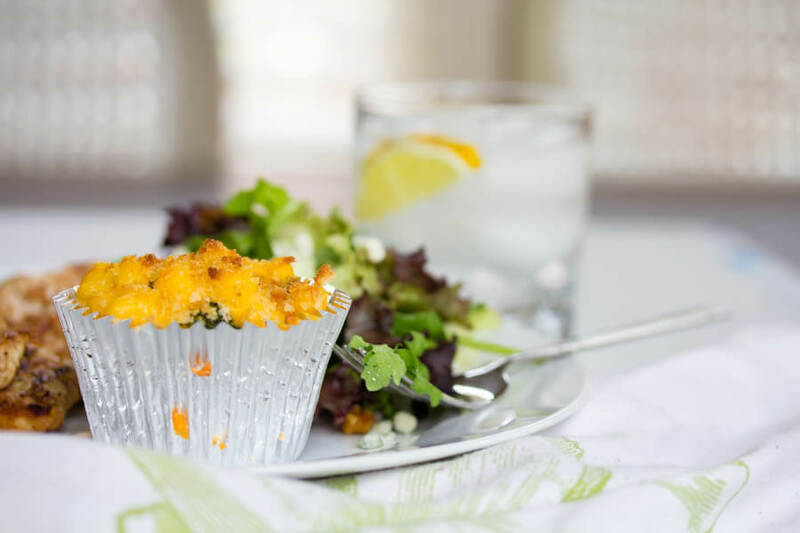 The Registered Dietitian part of me appreciates the extensive research behind it, while the work-from-home mom side of me LOVES the program’s simplicity and, frankly, FUN ideas. The website for the US will be available soon (and don’t worry, I’ll make sure to share the link when it is here) but for the meantime, check out some of the ones they are using in other countries such as the Middle East, Mexico, Central America, and Egypt. These sites are packed with easy, practical ways to incorporate healthy habits in our household by laying a foundation through games, discussions, artwork, gardening and play. 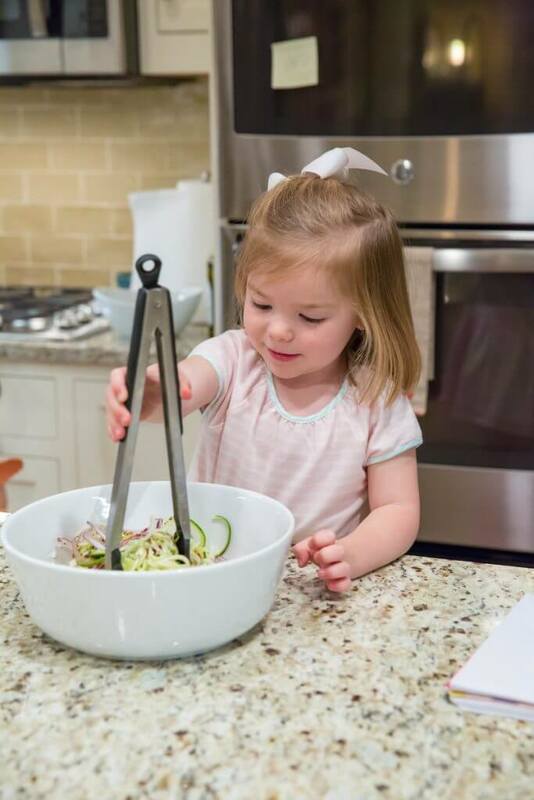 If you’re reading this and looking at your 3 year old (like I am) thinking, “I hope I got it right,” then there are still many ways that even at this age you can establish healthy eating habits. Many of those are listed below. 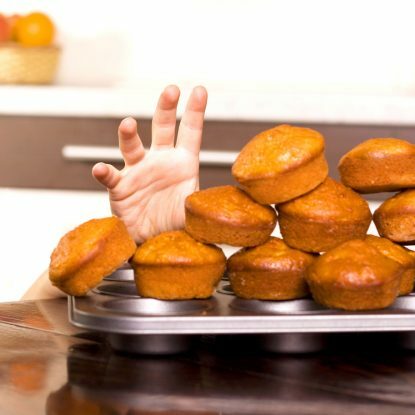 If you have very little ones then make sure to stay abreast of new research around feeding—especially information about the introduction of certain foods (i.e. peanut products now in the early months vs. after the first or second year). And as always, if you aren’t sure what to feed your baby, check with your pediatrician or registered dietitian. 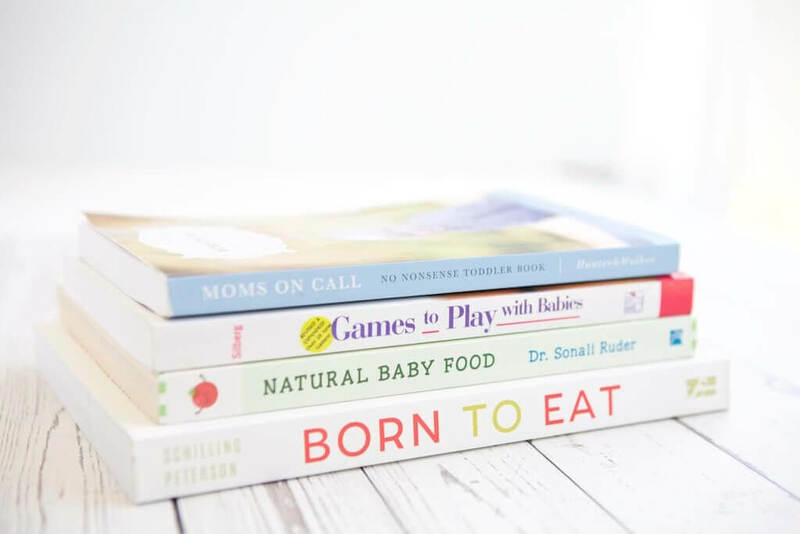 My RD friend, Jenna Braddock, rounded up some of the best books for baby in her recent blog post. Make sure to check it out! 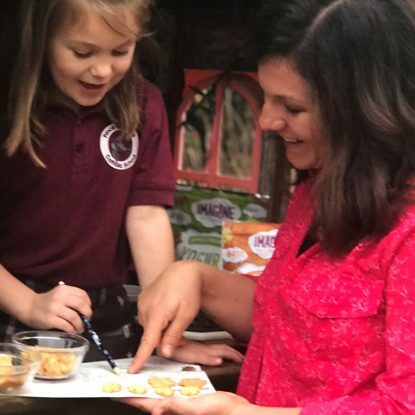 Why had I never thought about making it a game to get my kids to try new foods? Here’s my new secret. Each week, I make a point to take Ellie and Frances with me to the grocery (maybe not always the “big” run, but a quick grocery drop-in). We strolled through the produce section on to the lesser known fruits and veggies. Each girl got to pick one item that the whole family would try that night. Ellie picked cauliflower and I suggested a mango to Frances. Another perk to this new “game”? It’s gotten me out of my veggie rut. I’d gotten into such a routine of preparing 4 to 5 staple vegetables that I hadn’t even realized how limited our dinner selection had become. 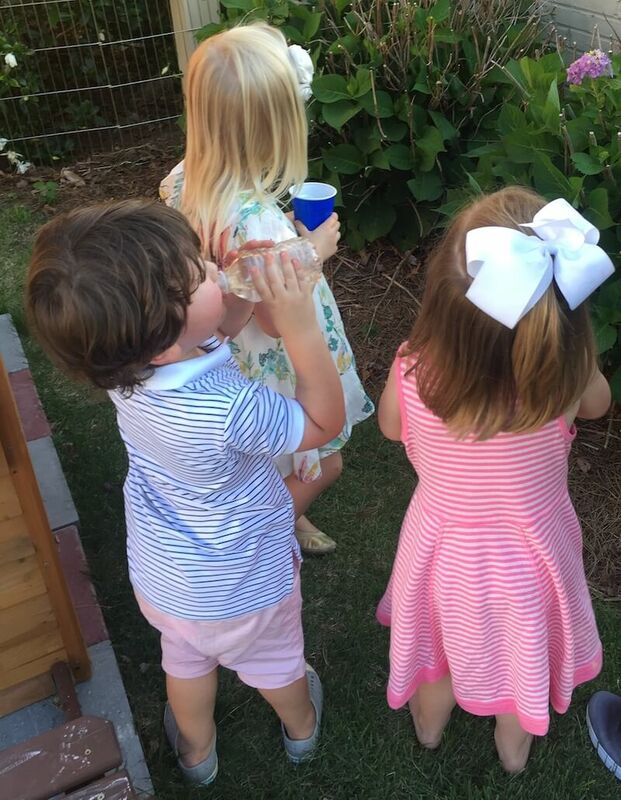 Any time we are entertaining friends or my kiddos are outside playing (especially in the heat), I make water readily available. Whether everyone has their individual water bottles (metal, plastic, or small disposable) or I bring a pitcher and cups down, it amazes me how quickly children flock around to rehydrate. We took a quick family trip last weekend to the beach. I knew it was key for everyone to stay hydrated, but didn’t want the girls loading up on juice or added sugars. So, one day we created our own fruit-infused water in water bottles. The girls loved the “fruit water” so much that Ellie decided she wanted to create her own “fruit ice cubes” for the next day using blueberries. Here is Alabama spring temperatures vary greatly. One day it may be sunny and warm, while the next day is cold and sleeting. It was this second type of day when the girls (and maybe me too) busted out one of our favorite activities – turning on the music and dancing around the house. Ellie and Frances thought it was hilarious to see mom cut loose, and once I started prepping dinner, they ended up turning the activity into a full-scale recital. We all had a blast, no one squabbled, AND we ended up moving more than we often do on pretty days. 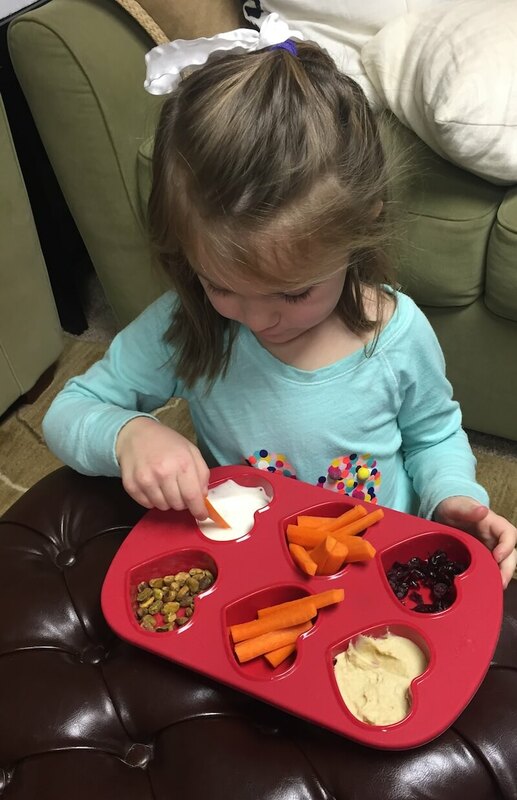 Make a snack platter to share with the family or fill muffin cups with a variety of healthy foods and let everyone snack on their favorites. I have a friend with slightly older children. Her daughter has been learning about multiplication, division, and percentages, and loves applying it to real life scenarios. So, she suggested her daughter divide and portion a bag of baby carrots and carton of hummus so there were exactly 8 servings of each. 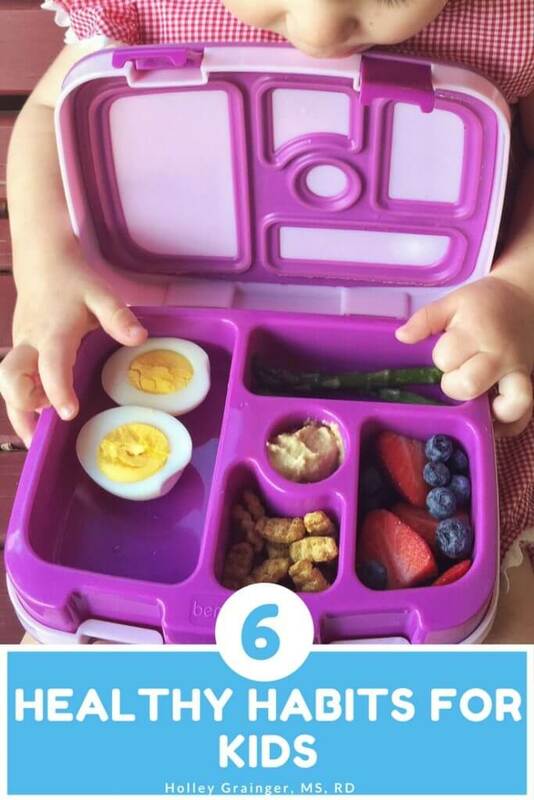 Her daughter thought it was a “cooking math puzzle”, while also teaching portion control. Research shows us that eating 3 meals a week together as a family has extremely beneficial long-term effects on children such as reducing the risk of obesity, reducing the chance of an eating disorder and developing a life long healthy relationship with food. The best part about this—it isn’t limited to just dinner because any meal together (without distractions of the TV or screens) can lead to big benefits. While the girls are young and evening activities are limited, having a family meal together isn’t too difficult. If you’re a family that spends their life in the car moving from one activity to another, try making an effort to wake up 15 minutes earlier and have breakfast together. You’ll be glad you did! PIN THIS IMAGE TO SAVE THESE TIPS FOR LATER! What steps are you taking as a family to create healthy habits in your children? Share them in the comments below! The most important thing to remember is to just have FUN and be creative! These are some great tips! I especially like the idea of taking a fruit infused water with you on the go, it still makes the drink feel special for a special trip! Yes! My girls think adding fruit is so fun!